Essential oils are natural aromatic compounds found in the seeds, bark, stems, roots, flowers, and other parts of plants. They can be both beautifully and powerfully fragrant. If you have ever enjoyed the gift of a rose, a walk by a field of lavender, or the smell of freshly cut mint, you have experienced the aromatic qualities of essential oils. Essential oils can lift the mood, calm the senses, and elicit powerful emotional responses. Yet the use of essential oils goes well beyond their fragrant appeal. Essential oils have been used throughout history in many cultures for their medicinal and therapeutic benefits. Modern trends toward more holistic approaches to self care and growing scientific validation of alternative health practices are driving a rediscovery of the profound health benefits of essential oils. Many have powerful cleansing properties. 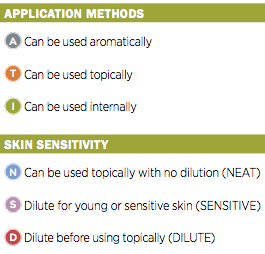 Their unique chemical structure allows them to pass directly through the skin for immediate systemic response to topical application. Certain oils may be used as dietary aids to promote vitality and well-being. Therapeutic-grade essential oils are most often extracted via a low-heat steam distillation process in which steam is circulated under pressure through plant material, liberating the essential oils into the steam. As the steam mixture cools, the water and oils are separated and the oil is collected in its pure form. To ensure the highest quality oil extract of correct chemical composition, temperature and pressure must be monitored very closely. Too little heat and pressure will not release the valuable oil; too much can fracture an extract’s delicate chemical composition and alter its potency. Equally important to the carefully controlled extraction process, the meticulous selection of correct plant species and plant parts harvested at the perfect moment when their essential oil compounds are most concentrated, is also required for a quality therapeutic-grade essential oil extract. This complex process is as much an art form as it is a science and requires experienced growers and distillers working together to ensure a superior product. dōTERRA® CPTG Certified Pure Tested Grade essential oils are pure, natural, aromatic compounds carefully extracted from plants. They do not contain fillers or artificial ingredients that would dilute their active qualities and are free of contaminants such as pesticides or other chemical residues. As important as it is to keep contaminants out of our oils, assuring the presence of the oils’ active compounds at the right levels is necessary to guarantee safety and effectiveness. Many oils claim to be therapeutic grade, and some may be pure, but few are subjected to rigorous testing standards for chemical composition. dōTERRA CPTG Certified Pure Therapeutic Grade® essential oils are cross tested using Mass Spectrometry and Gas Chromatography to ensure both the extract purity and composition potency of each batch. dōTERRA works closely with a global network of leading essential oil chemists and growers to select botanicals of the correct species, grown in the ideal environments, and carefully harvested at the right time. The aromatic compounds of the plants are skillfully extracted by experienced distillers and subjected to chemical analysis to ensure purity and composition. dōTERRA CPTG Certified Pure Tested Grade essential oils represent the safest and most beneficial oils available in the world today. The dōTERRA® network of botanical growers and distillers spans the globe from Italy to Madagascar, India to Corsica. Only the purest and most potent essential oils meet the strict standards of CPTG Certified Pure Therapeutic Grade®. Accept nothing less from your wellness professional or for your family. Where do I start? Using essential oils is intuitively simple and highly satisfying. However, the many oils available with their numberless combinations and wellness applications can be a bit overwhelming to beginners. As a simple first step on your journey with essential oils, we recommend a trio of Lavender, Lemon, and Peppermint. Three of our most popular oils, they will provide you and your family a compelling experience with the life-enhancing properties of therapeutic-grade essential oils. The following very interesting article is from the website of the University of Minnesota Expert Contributor: Linda Halcón, PhD, MPH, RN, RATC Reviewed by: Kate Maher, RN, BSN WHAT DOES THE RESEARCH SAY ABOUT ESSENTIAL OILS? Although essential oils have been used therapeutically for centuries, there is little published research on many of them. However, this is beginning to change as more scientific studies on essential oils are conducted around the world. Clinical studies are currently underway in Europe, Australia, Japan, India, the United States, and Canada. Many of these studies describe the remarkable healing properties of various oils. collage of food, cosmetics and tobacco industriesWho is doing the research? A significant body of research on essential oils has been conducted by the food, flavoring, cosmetics, and tobacco industries. They are most interested in the flavor, mood alteration, and preservative qualities of essential oils. Some of these companies have also conducted extensive research on the toxicity and safety of essential oils. Although much of this research is proprietary and not generally available to consumers, some of it has made its way into cosmetic and plant product journals. These journals are important sources of information as we accumulate a growing body of knowledge on essential oils. Most of the studies that have been published in the English language scientific literature have been conducted in laboratories and they have not been tested on humans, but this is changing. What are some issues in conducting research on essential oils? There are some unique issues in conducting research on essential oils. Essential Oils Are Not Standardized: The chemistry of essential oils is influenced by the local geography and weather conditions, as well as the season and time of day when the plants are harvested, how they are processed, and how they are packaged and stored. Each plant is unique in its chemistry so essential oils are never exactly the same-this is different from pharmaceutical drugs that are synthetically reproduced to be identical every time. Essential oils can be altered to achieve standardization (for example, a certain chemical that was found to be at a lower concentration in the whole oil in a particular year can be added to make it the same percentage as last year's batch). The problem with standardized essential oils is that they are no longer natural, genuine, and authentic. This variability in essential oils by time, place and conditions is a big challenge to conducting valid research. Currently the International Standards Organization sets standards for each essential oil that include a range of acceptable concentrations for its major chemical constituents. It Is Difficult to Conduct Blinded Studies with Aromatic Substances: Typical research studies involve testing two groups-one group gets an experimental substance and another group gets a placebo substance (this group is referred to as the "control" group). When using aromatic substances, it is very difficult to conduct a blinded study. Some researchers have used masks or other barriers to blind participants. Other researchers have used alternate scents assumed to have no therapeutic properties as controls. These approaches are problematic, however, because people associate smells with past experiences. Thus, it is difficult to account for individual variation in how essential oils affect people. It Is Difficult to Get Approval and Funding for Research on Essential Oils: Essential oils have been used on humans for thousands of years. As a result, they don't fit into the conventional clinical science approach of testing a substance in the lab first, then on animals, and then on humans. As a result, if a researcher proposes to test an essential oil with humans first, they may be turned down. This is because research review boards tend to approve research studies that follow the more usual scientific research path. Many conventional drug studies are funded by the pharmaceutical industry. There is little motivation for these companies to fund research on natural plant substances because they cannot easily be patented, limiting the potential for profit. Thus, finding funding for essential oils studies can be challenging. Massage using essential oilsIt Is Difficult to Tell What Caused the Outcome: In conventional research studies, it is important to be able to determine exactly what caused the outcome. In essential oil therapy, the oils are sometimes applied with massage, which makes it difficult to tell whether or not the outcome was due to the essential oil alone, or the massage, or the combination. Also, essential oils are composed of hundreds of chemical constituents, and it is hard to determine which ones may have produced the desired effect.